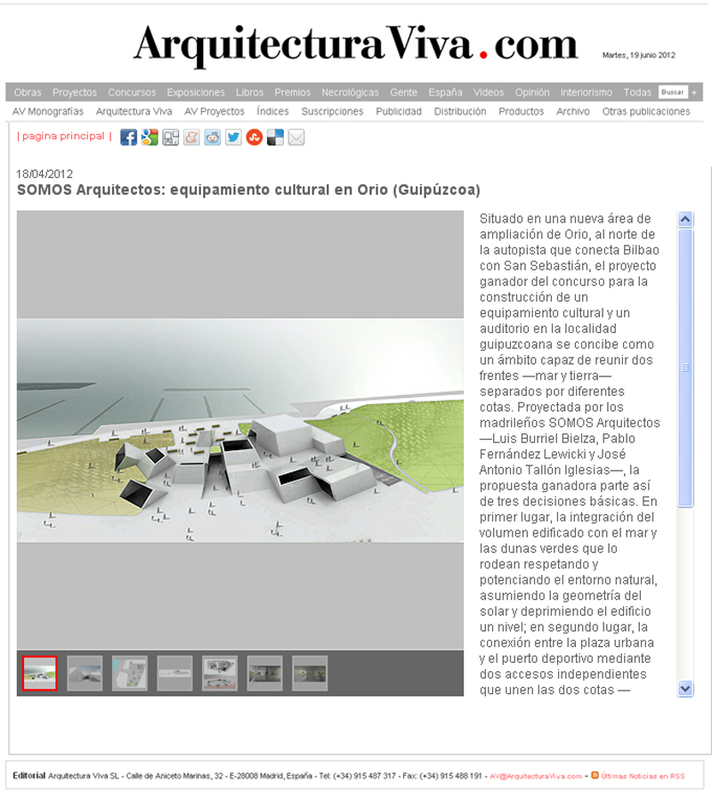 SOMOS ARQUITECTOS PUBLICATIONS: ARQUITECTURA VIVA. AUDITORIUM AND CULTURAL CENTER IN ORIO. 1ST PRIZE. SOMOS.arquitectos published in ARQUITECTURA VIVA.com. First prize in the construction of the Auditorium and Cultural Center in Orio (Gipuzcoa).